“After saving my soul and providing properly for my family, the one thing I have since 2001 felt very called and committed to seeing accomplished is a strong domestic (for North America) Support A Missionary Priest endowment to assist worthy married clergy families who heroically sacrifice in locations with very few resources. As the Apostle wrote the Corinthians, and I paraphrase “you who have are to help those who don’t” (II Corinthians 8:15, Exodus 16:18). “And all who believed… had everything in common… and distributed …to all, as any had need” (Acts 2:44-45). Fr. Angelo (Evangelos) Pepps is a cradle Orthodox who thanks to Fr. Lazarus Moore of thrice-blessed memory’s inspiration – and in particular, booklet now called Sacred tradition in the Orthodox Church – considers himself a convert to Christ and His Ark of salvation. He is thankful to his father Stavros (Steve) of blessed memory who — with his now 96 yr. old mother Mary helped pay some of his way thru 7 yrs. of seminary at HC/HC and who – encouraged him when he was seriously thinking of becoming an AOG pastor, “first study our own religion and then decide.” After but a few days in Brookline the fall of ’75, Fr. Angelo found everything he had been looking for to follow Christ in the safest and most powerful way ..of the fathers. Fr. Angelo is married to his beautiful wife, Susan (Fotopulos) since 1986 and is the proud father of three very talented young adult children, Marissa, Elia and Stavros (Stephen). Fr. Angelo is a seasoned speaker who has seen great growth in the communities he has served, including increases in membership, resources, and most importantly, people coming to enjoy their full inheritance in Christ. Father grew up in San Antonio, TX and spent seven years at Hellenic College/Holy Cross School of Theology where he was valedictorian in 1979, named (2x) to Who’s Who in American Colleges and Universities and was president of the Orthodox Inter-Seminary Movement as well as the School’s Missions Committee. Fr. Angelo has had the honor of learning from Frs. Anthony Coniaris and Nicholas Triantafilou both of whom he served in their respective communities as YOUth and Campus Minister, chief cantor, etc. Fr. Angelo’s articles have appeared in the Orthodox Observer, Solia, The Sword and Again Magazine and he has been heard on numerous television as well as radio stations. Fluent in Greek, with a working knowledge of Spanish, Fr. Evangelos is a popular speaker, known for unifying Sunday of Orthodoxy sermons, which have been given in numerous metropolitan areas around the country. He has also, enjoyed speaking on many college campuses including prominent universities throughout America. Living in Thessalonica, Greece for one year, he was able to explore many other places including Mt. Athos (4x), Patmos, Istanbul, Ochrid, England, Bulgaria, Egypt, Mt. Sinai and the Holy Lands. The Pepps (Papakonstantinou in gk.) currently live in Kalamazoo, MI where Fr. Angelo, his wife Susan and three teenage children are attached to Holy Ascension parish in Albion. With other believers, he initiated the Orthodox Christian Outreach to Greater Portage, MI, which offers educational, worship, fellowship and service opportunities to those wanting to live and worship the way the first Christians did. Their demographics include over 40K college students who live in the area. Update: Father Angelo recently returned from serving the faithful of Project Mexico’s boys home and missionary outreach in Baja California. This follows a fairly recent eleven days at Guatemala City’s Hogar Rafael (Orphanage). An upcoming regular program of Share The Faith soon to be posted at www.hellenicheartbeat.com, is “OYA: Orthodox YOUth on the Air”, brief relevant messages to motivate young people and young adults to want to follow Christ and serve His Church. Fr. Evangelos Pepps is available to speak to your church or organization. Contact the Orthodox Speakers Bureau. “How to Grow Your Parish” workshop. Pre-Schism Saints of the West including the remarkable story of St. Brendan, 6th century Navigator to the Americas. Fulfilling our Calling by Being Balanced, Catholic, Apostolic and Evangelical. Fr. Theodore Kyritsis, Greek Orthodox Radio Hour. Dr. Paul Maier, author, professor WMU, and noted speaker. Fr. Nicholas Kossis, Bethlehem, PA, retired Greek Orthodox priest. Vicki Klaras, Senior Lecturer, Baylor U, Waco, TX. Fr. 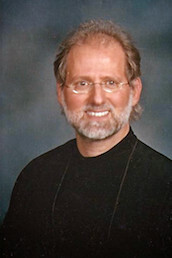 Michael Shanbour, Antiochian Orthodox Christian Archdiocese. Geoffrey Bray, Executive Director, Project Mexico. Αγαπητε πάτερ Ευαγγελε, χαρηκα παρα πολυ για την γνωριμια μας σημερα. Πηρα το τηλεφωνικο σας μηνυμα σας και σας ευχαριστω για την προσκληση. I will there at 9:30 tomorrow morning.